Savate is a disciplined sport, sharing the Olympic values of participation, fair-play, respect for the rules and for others, and promoting personal development as well as mastery of technique. A complete and enjoyable syllabus allows the high standards of Savate to be passed on to participants of all ages,. Training in Savate promotes sef-confidence and all aspects of physical fitness:flexybility, mobility, speed, strenght, stamina, skill and co-ordination. 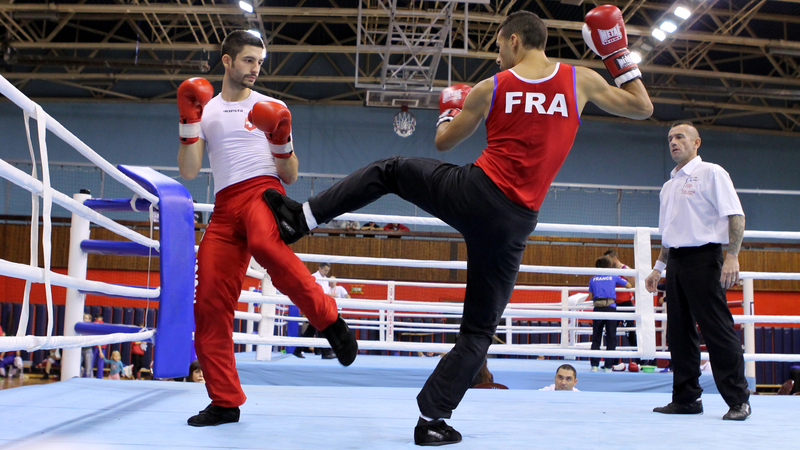 Through a rigorous and structured training programme, participants in Savate gain an understanding of the strategies and personal values, as well as the physical skills and attributes, required in competition. Combining flexibility, agility and fluid movement, Savate is an aesthetic sport that values precision and artistry rather than simple confrontation. Click to view our pictures! Click to View best videos! Click to view the best videos!